Not Going Out for A Date-Night? No Worries, Here's How You Can Make The Evening Special! Valentine’s Day is all about love and romance. The idea that love needs to be celebrated in all its glory is something that is at the heart of the whole celebration surrounding Valentine’s Day. It is all about hearts and red balloons and roses and chocolates; and, above everything else, it is about the lovely bond that two people share. And you should surely celebrate this beautiful relationship whenever given a chance, especially, an opportunity like Valentine’s Day! 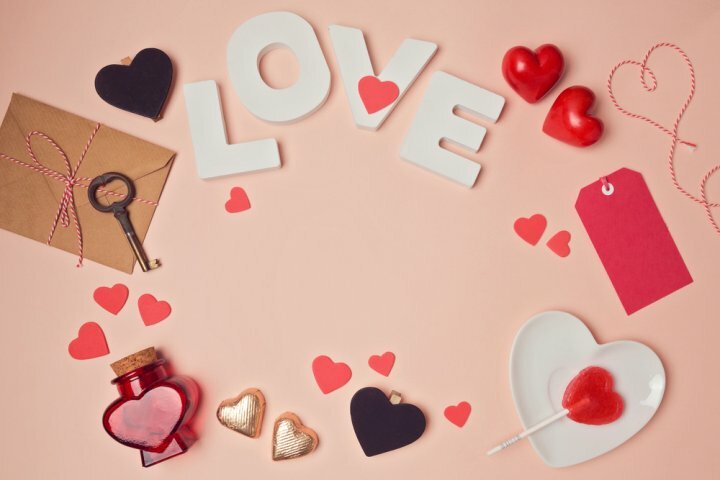 Though you might think that the Valentine’s Day is all about romance and ever-lasting love, you would be surprised to know that there are so many different sides to the day than you would have ever thought of. There are a whole lot of facts and figures that could leave anyone shocked. How the heart spelt anything but romance and how Valentine’s Day is probably the second day in the whole year to boost the greeting cards business; the facts are endless and very interesting. 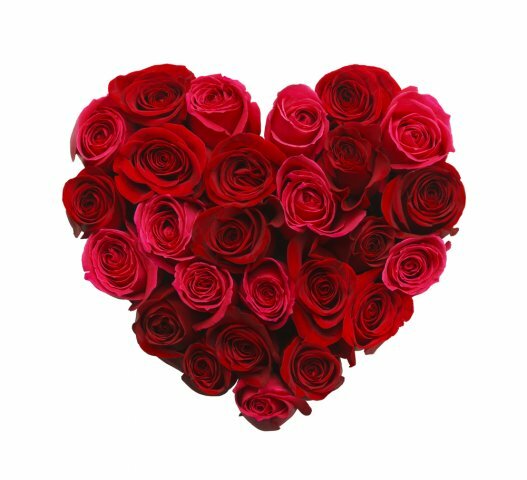 Below, we have compiled a list of the top 3 facts about Valentine’s Day that we bet you probably didn’t know. 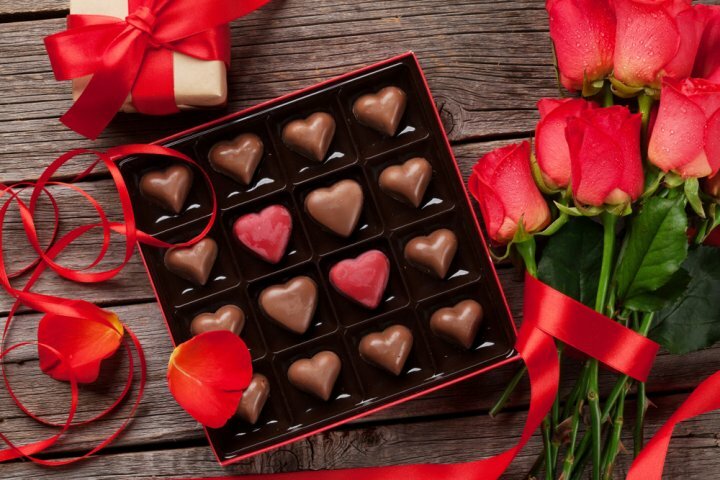 This one might come as a shocker, but, yes the chocolate box that people tend to gift on Valentine’s Day is something that has been around for more than 140 years and that is certainly a big thing. Since a long time, people have been indulging in these sugary delights and it has been the day’s favourite. Various gifting ideas have emerged over the years but nothing has been able to replace the classic chocolate box. Yes, at one point in time the heart shape (which is today seen as the biggest symbol of love and romance) was actually a threat. Later, it evolved to be seen as the way we see it now. In Greek and nearby cultures, it has also been associated with different other things such as women’s buttocks as well. Did you know that Valentine’s Day is also known as something else? Something so much more different from the lovey-dovey romantic day that Valentine’s Day promises? 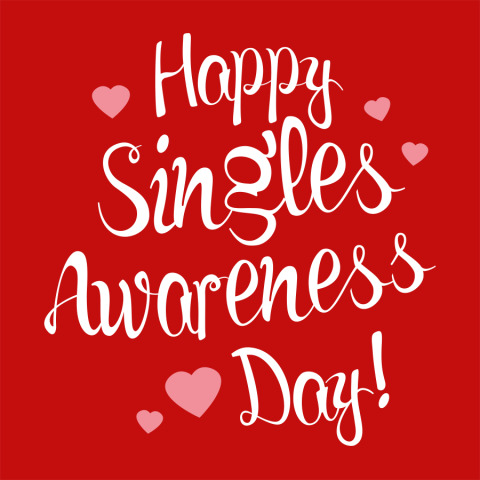 Well, yes, the day is also celebrated as Singles Awareness Day in several parts of the world, and, ironically abbreviated as SAD. This is something that many people are unaware of. Lots of people collect in groups and think of the large number of singles on the planet and come up with plans on how they can make the people more aware towards issues of their concern. 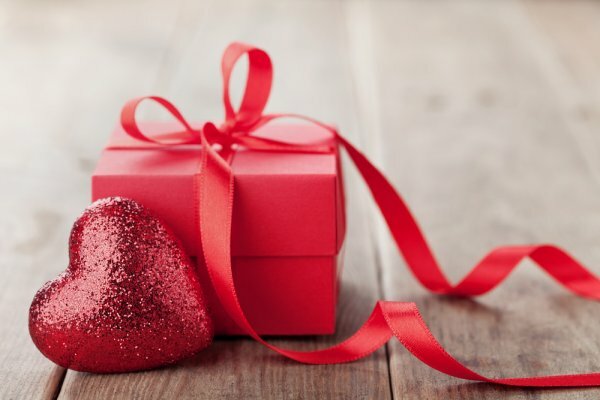 So, you are probably wondering what you can get your husband for Valentine’s Day and it is certainly something that can get you all confused because there are so many great gift options nowadays, however, we have tried to make it easier for you by compiling the top 10 gifts that he would be delighted to receive on the occasion of Valentine’s Day. These gifts are romantic, fun and exciting; check out our list below and find out your perfect gift that your love husband would love. What can be more romantic (and appropriate for Valentine’s Day) than a jar full of love-messages for your dearest husband? For just Rs.299, you can get this beautiful gift from Amazon India and surprise him with this cool thing. It is a nice, compact glass jar with a metal cap. The quality of the jar is good and durable and can also be reused for other things in the future. It will come along with two message papers and a beautiful red velvet rose that complements the entire romance theme! If you are looking to gift him something that will not just be romantic but will also be a useful thing to have around the house then this gift might be a good choice. For just Rs.799, you can get this set of lovely couple cushions from Ferns and Petals which is dedicated to all the lovebirds that are not just connected by heart, but by the soul. 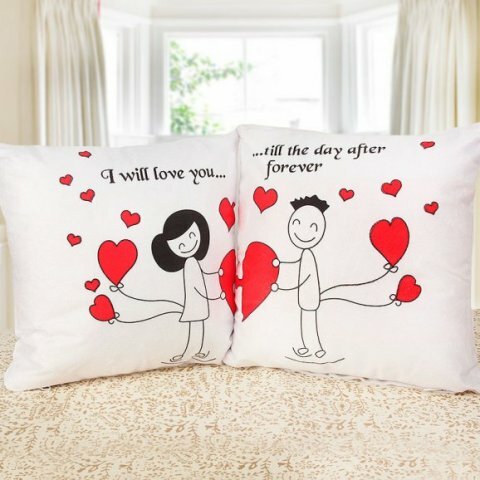 Made of high-quality white material the cushions are romantic and look really cute with cartoons on them, complemented beautifully with the love quotes. Some of the best gifts (that would instantly steal anybody’s heart) are always the one that speaks to them and is personalised to suit their taste and preferences. 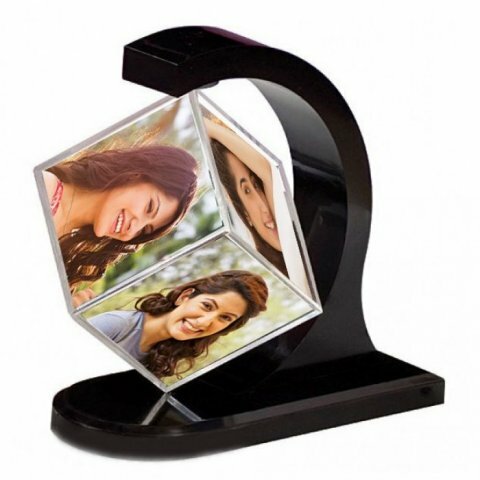 You can get a beautifully done revolving photo cube from Regalo Casila for just Rs.449. It is a glass cube (sturdy and durable material) and you can give them any six different photographs that you want to put on it. You can also select the colour of the stand, for the cube from a variety of shades. It would make for a beautiful table-top figure for home or office as well! 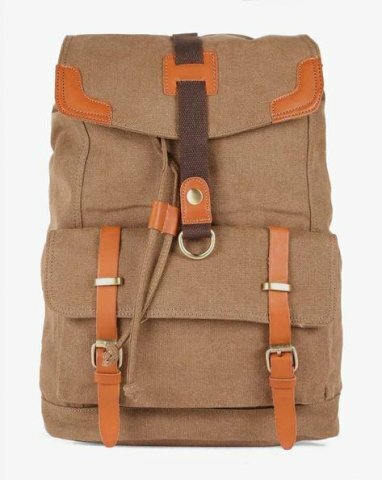 If romantic gifts are not something you would like to indulge in and would rather settle for something that your dearest husband can make use of then this nice, little laptop backpack from AJIO() is something that you should check out. Featuring a flap closure with drawstring fastening and contrast edges, this laptop backpack is a go-to companion for work and travel. Priced at Rs.800 only, you have the option to choose from cream or brown colour as well, depending on what your husband would like. It is a nice spin on the regular laptop bags and is a trendy thing to own! 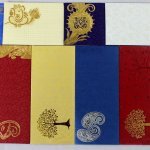 Oye Happy() is nowadays known to provide people with unique and lovely gifts that capture the entire essence of the occasion and the emotions involved. 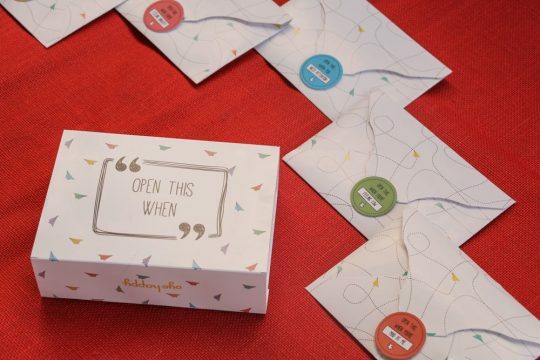 One of the best gifts from their collection is the ‘Open When Letters’ set which you can get for just Rs.1,440. It has a set of 7 different letters which are meant to be opened on different occasions, such as – when you miss me, when you need a laugh, when you are mad at me, when you are stressed, when you are feeling naughty and other different occasions. It would make for a cool gift to give to your husband this Valentine’s Day! There might be a hundred things that might catch your fancy and might make a good Valentine’s Day gift for your husband; however, the timeless gift is a beautiful hamper of flowers and chocolates. It has been a favourite for ages and rightly so because it packs the best of all things ‘love’. 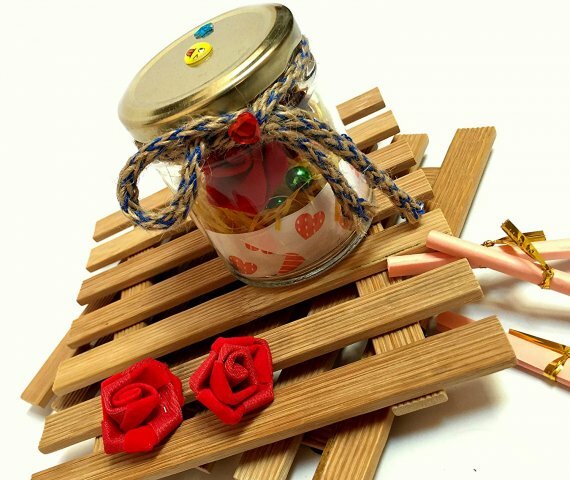 You can get one of the best available hampers from Ferns and Petals at just Rs.1,649 only. 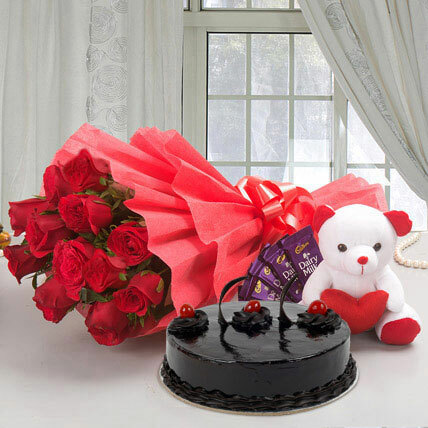 It contains the following – Bouquet of 12 Red Roses, Cadbury Dairy Milk Chocolates - 5 (12.5 grams each), White & Red coloured Teddy Bear and a Truffle Cake - 500 grams. The perfect gift it is! Do you sometimes feel that your husband is as special as a star on a beautiful night? Well, if yes, then why not actually dedicate a star to him and tell him how special you find him to be? 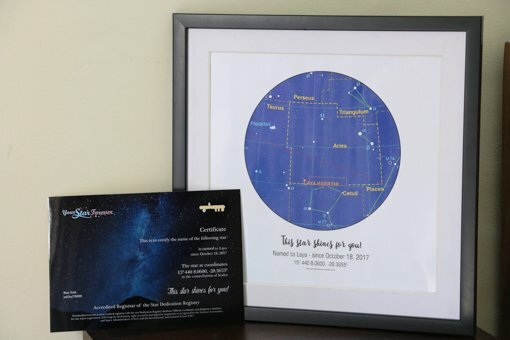 You can get a personalised certificate with a star named after him (along with the location of the star) and you can also add a personal message on the certificate. Just share the name of the person you want to surprise, select the zodiac, the date and a star will be automatically picked for them. The details can be shared after payment. For Rs.2,350, you can get this uniquely amazing gift from Oye Happy! Most men love to collect different watches and wear something out of their ever-growing collection every other day. 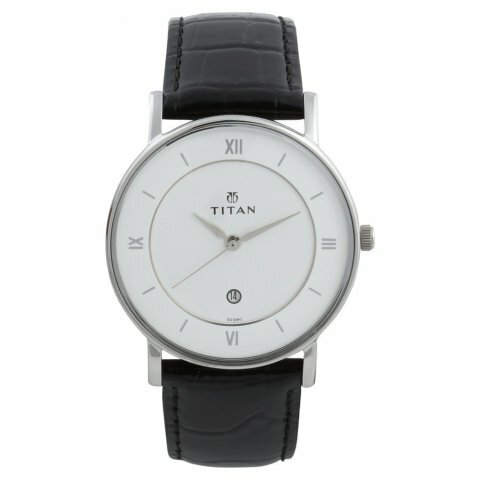 If this sounds something like your husband then you can consider buying him the Titan Classique White Dial Analog Watch for Men from Titan’s official website for just Rs.3,590 only. Along with quartz movement and analogue function, the biggest thing about this watch is that you also get a 24-months warranty so that any accidents are taken care of easily. This could be just the watch that would complete his collection! If you are looking for trendy, cool and good quality fashion products for men then AJIO is a great place to look at, especially, because they have reasonably priced stuff. Something like this cool printed slim-fit cotton shirt (priced at Rs.909 only) could be something that your husband would love to add to his collection. It can be worn for any kind of occasion, ranging from a casual dinner to a formal setting as well. 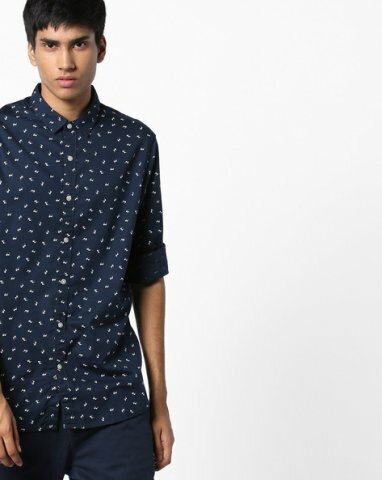 Designed with all-over micro prints and tailored to give a slim silhouette, this off-beat shirt is a cosmo man’s style statement. Some things never go out of style and the rose is one such thing. Especially when it comes to romance and love, roses and the colour red is a show-stealer. There are several rose and gold options that you can consider. 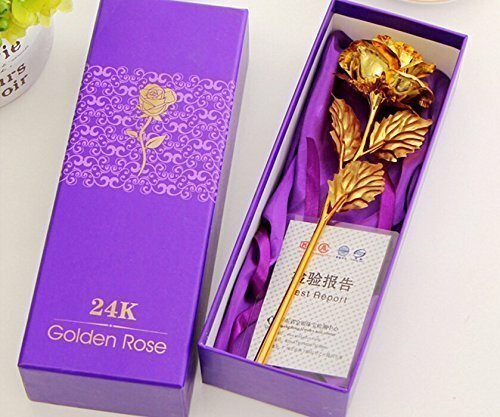 You can get this beautiful gift box from Amazon India for just 399 INR only which contains a 24K gold red rose (10 inches in height) and is packed in a delicate, ready-to-gift box which you can also get gift-wrapped beforehand. What better gift to give on Valentine’s Day, than the classic rose and gold? It has somewhat become a tradition to go on a dinner and enjoy the perfect date-night on the eve of Valentine’s Day, however, nowadays, more than ever, people are opting to do something different. 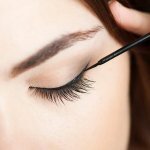 Some are running on tight work schedules while some just don’t have the penchant for traditional date-night that has been the norm; In any case, if you also would like to do something different, then don’t despair, there are a lot of things that you could try out for this Valentine’s Day. Read further to see the top 3 ideas that could replace the date-night and provide so much more fun and excitement. Well, movies seem to be everyone’s favourite these days and you could spend the Valentine’s Day evening watching a nice rom-com or a delightful comedy (or perhaps horror, depending on what you like). Snuggle-in with a nice movie and with tasty snacks for you both to gorge on. This would surely be a really nice and memorable Valentine’s Day for the two of you. If you both are the ones to prefer a series over a movie then probably you could think of this as the perfect opportunity for binge-watching on your current favourite series. 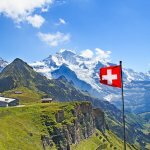 If you are on a budget or just too lazy to actually get out of the house and go for dinner to a restaurant, then there are several other options that you can consider. The easiest yet romantic idea is to order in food from a restaurant that you both love. 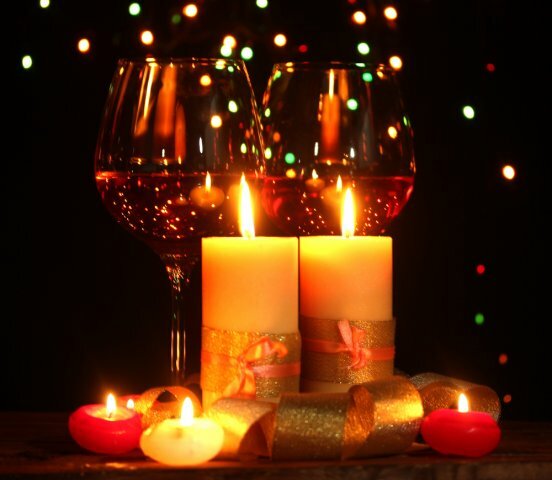 You can also decorate the place with the dim lights and beautiful, scented candles so that a romantic, candle-light dinner can be enjoyed. This is the best kind of thing to do which is romantic and yet will not burn a hole in your pocket like other stuff. If you are both a couple that loves a new game or a bold new adventure every other day, then you can consider getting some good midnight games to play that are especially, fun and exciting for couples. There are a lot of spicy and bold games to add a different spark to your romantic life and maybe this could also be a great idea if you think the romance is dying out or fizzling out. Some of the good games for such an occasion include Dice and Spice, Midnight Taboo for adults and more. Valentine's day is a day of love and so there is no hard and fast rule of how it should be celebrated. And that is indeed the beauty of Valentine's day. Not ready for a dress up? Snuggle in and watch movies all night long! Who knows what it might lead to? You don't even have to be in a relationship; you can make the special day about your BFFs. All that matters is celebrating your most important relationships, and letting the people you love know that you cherish them.